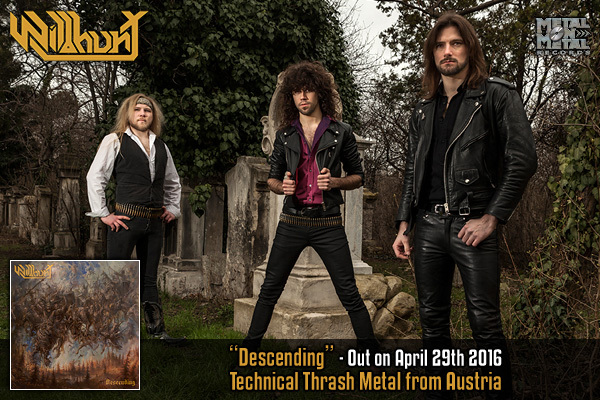 WILDHUNT from Austria have recorded an album with the kind of thrash that is rather rare nowadays but harkens back to the late '80s/early '90s when a few technical thrash jewels were released mainly in Germany and Switzerland. This young band is clearly influenced by some of the greats from the past, but they have managed to create their individual sound and give their music a unique feel. They've got impressive technical skills but, what's even more important, their song writing is very strong, too. Although you can't use the word "catchy" to describe their songs, they have a high "replay" factor, stay in your memory, and will surely appeal to the fans of bands such as DEATHROW, DESPAIR, CORONER, GRINDER, METALLICA, PARADOX or HEATHEN. This debut full-length features the whole palette of emotions and tempos, from rippingly fast and heavy to melancholic and sublime acoustic breaks, all topped off with dark and thought-provoking lyrics. The album's production is definitely old school, too - it sounds like a "lost" album from that era that you've never heard and wonder how on earth you could have missed this little gem! Founded in the depths of a sepulchral Carinthian cellar in late 2011 by guitarist/vocalist Wolfgang Elwitschger and drummer Lukas Roth, WILDHUNT soon arose from the dungeons and were prepared for the hunt. 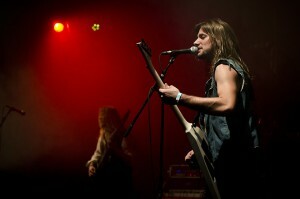 In late 2012 Benjyi Breeg joined their way on bass and completed the line-up. Relocating to Vienna in 2013 allowed them to increase efficiency and get involved in a bigger musical movement. With their energetic music they soon rushed all over Austria and conquered a number of foreign stages including countries like Germany, The Netherlands and Hungary, sharing stage with their brothers in arms from REZET, MESSERSCHMITT, ELIMINATOR, SPEEDBREAKER, BLIZZEN, INTÖXICATED, CONTRADICTION, VILLANY, DESOLATOR, TULSA DOOM, TRIUMPHANT, INSANITY ALERT, ASGARD, RULER, TERRORDOME, as well as older bands like OSTROGOTH, MORTICIAN or SCHIRENC (Plays PUNGENT STENCH), and spreading their vision of technical speed/thrash metal. Over the years, some guitar line-up changes marked their way. 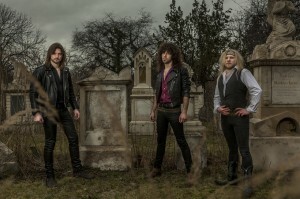 Lukas Oberlerchner, Chris Soyer and Flavius Miron enriched their live performance heavily but brought them to the decision to exist as a power trio essentially and to incorporate a second lead guitarist for the hunt on live stages only. As their self-released 2012 debut EP "Scenting the Prey" came across very well among fans and critics and the first print run was sold out pretty fast, Stormspell Records re-released the CD in 2013. Being part of the "Austrian Heavy Metal Alliance" which represents the association of currently 7 bands that point the way for the regional scene, WILDHUNT put two of their songs on the "AHMA" split with HIGH HEELER, LIQUID STEEL, ROADWOLF and DIAMOND FALCON. The vinyl was released in early 2015 by The Doc's Dungeons.